Advarra’s institutional review board (IRB) members have extensive, diverse backgrounds, including service on institutional, academic and independent IRBs. 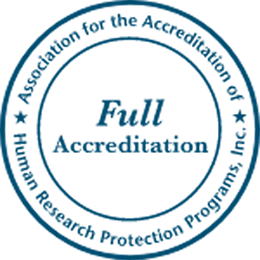 Members of the Advarra® IRBs are versed in examining research for its ethical implications, including research involving vulnerable populations such as pediatrics, critically ill and cognitively impaired participants. Review groups and service teams include scientists who have pioneered techniques, methodologies and discoveries in their fields. Advarra synthesizes this deep expertise and commitment to review excellence across all therapeutic areas, and continues to set the standard for review services in areas such as oncology and neurology. In the case of an approved, approved with modifications, or deferred decision, the submitting party will be notified. Advarra’s IRB has the responsibility and authority to determine the adequacy and appropriateness of all the wording in the informed consent form. (See 21 CFR 56.109 and FDA’s A Guide to Informed Consent.) Advarra will provide proposed consent revisions to the submitting party. Approval for studies and sites will last for the period specified in the approval documentation but will not exceed one year. Advarra will specify the expiration date in your approval letter. The Advarra-approved consent will be included with the initial approval documents. The IRB will issue a formal letter if the study is disapproved. The recipient has the right to submit a written appeal to the IRB. If you submit the study to a second IRB after disapproval by Advarra, you must notify the other IRB of Advarra’s disapproval.